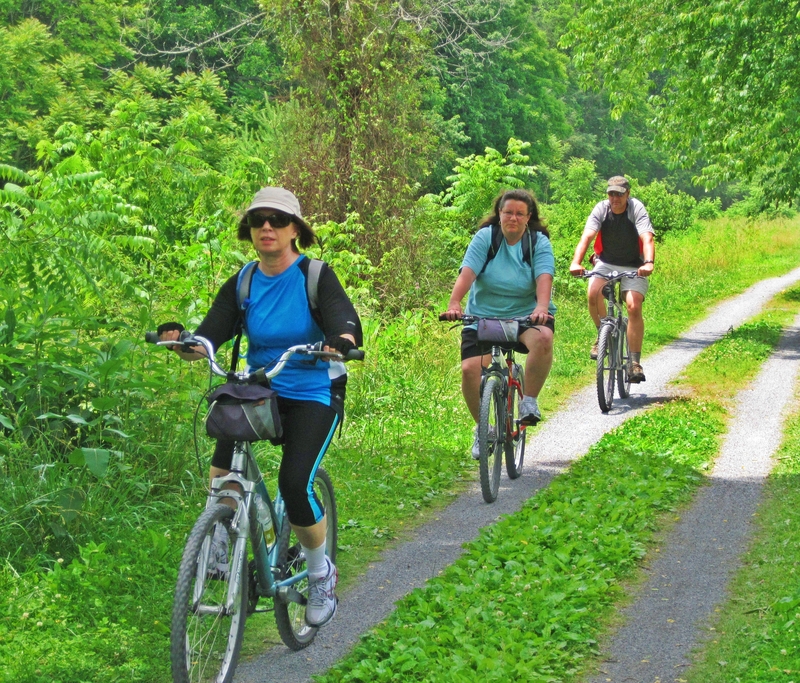 The Virginia Creeper Trail is a 34-mile (56 km) multi-purpose rail trail in southwestern Virginia. 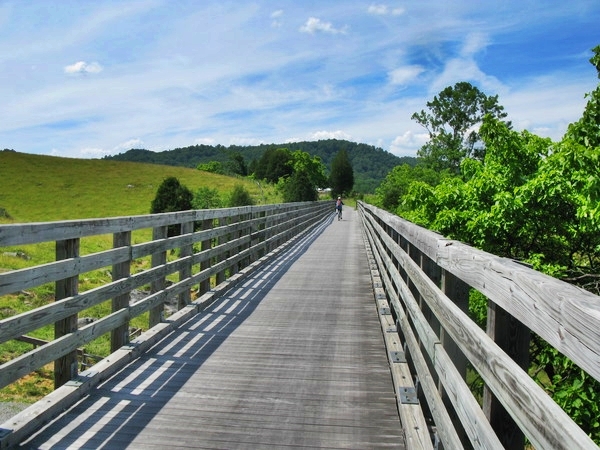 The trail runs from Abingdon to Whitetop, Virginia, near the North Carolina state line ï¿½ through National Forest and crossing numerous restored trestles and crossing the Appalachian Trail. 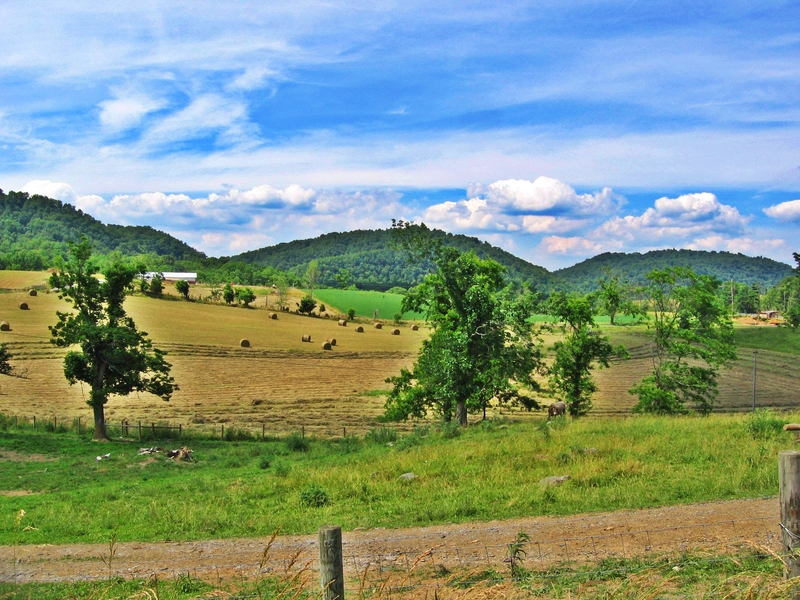 The trail descends from Abingdon to Damascus, traversing rolling farm countryside and numerous parcels of private property ï¿½ requiring opening and closing private gates along the route. From Damascus, hikers, cyclists and equestrians ascend to Whitetop, following Laurel Creek. 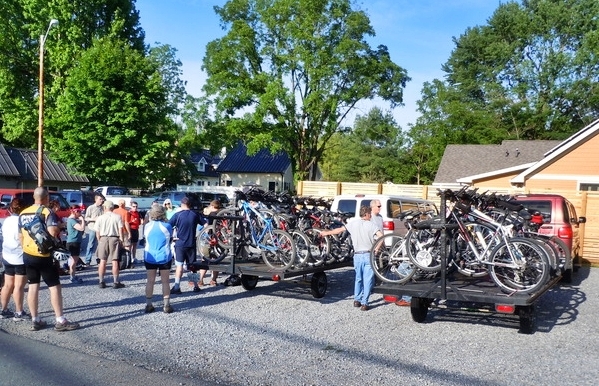 Cyclists can use our shuttle service to Whitetop for the 17-mile (27 km) return descent. 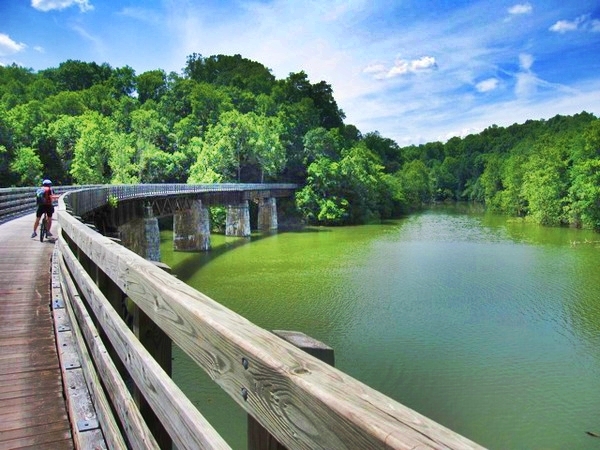 The trail runs on a rail right-of-way dating to the 1880s ï¿½ first belonging to the Abingdon Coal and Iron Railroad. After investing sizable capital without actually opening, that company went out of business. In the early 1890s the company's assets were purchased by the Virginia-Carolina and Southern Railway. It too had financial trouble and its assets were purchased by the Virginia-Carolina Railway. In February 1900, the Virginia-Carolina Railway began operating in Damascus, Virginia. By 1912, the railroad extended to Whitetop and by the end of the decade to Elkland, North Carolina (now Todd). The train ran to Todd until 1933, when the terminus moved to West Jefferson. In 1957 the last steam engine retired, replaced by diesel powered engines. By 1974, the Norfolk and Western Railroad Company petitioned the Interstate Commerce Commission to abandon the line. In 1977 hard rains flooded and damaged most of the line, which was left un-repaired. 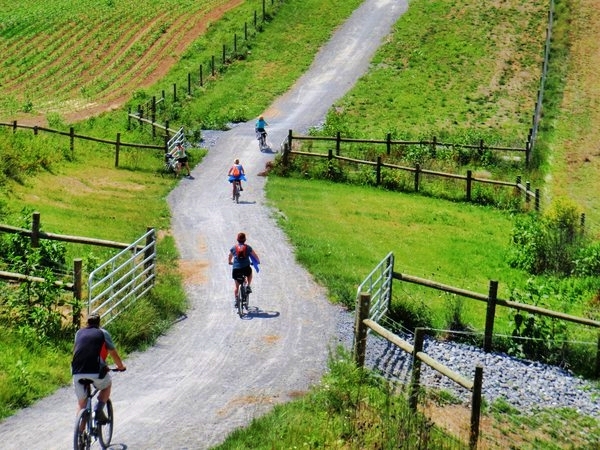 In 1977 removal of the track began and the land in Virginia was secured by the US Forest Service for a recreation trail. The land in North Carolina was returned to the land owners. In Virginia, the right-of-way is owned by the Towns of Abingdon and Damascus, and by the National Park Service and the National Forest Service. The trail extends from Abingdon, through Watauga, Alvarado, Damascus, Straight Branch, Taylors Valley, Creek Junction, Green Cove and Whitetop. The elevation of the trail drops approximately 300 feet (91 m) from Alvarado to the South Holston River and then climbs nearly 2,000 feet (610 m) to Whitetop. A rare 4-8-0 steam locomotive sits aside the trailhead at Abingdon, and several restored stations survive along the trail itself. Two railroad cabooses are also located along the trail; one at the mid-point in Damascus and another at Taylors Valley. 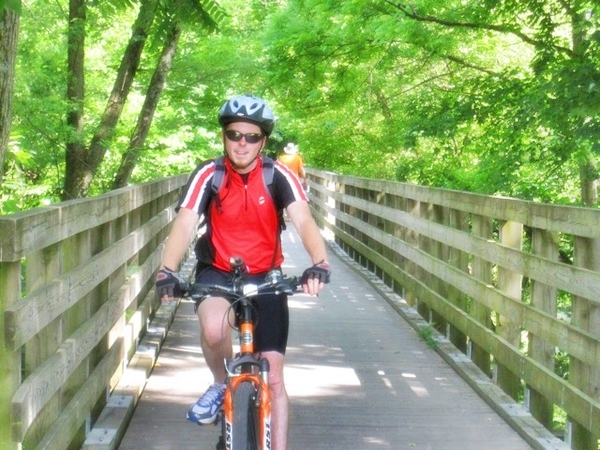 Do you have some great photos of your Virginia Creeper Trail journey? 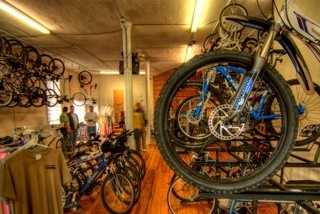 Send them to info@vacreepertrailbikeshop.com. We'll include them on this site and our Facebook Page.